Today many Multinational companies are facing a tough time against some of its employees duping them with forged certificates. Many candidates think that they can easily get away by lying here and there a little bit in their resume. Further they think that their company won’t be able to get to the bottom of his/her lie. So they prepare them as per the job description and their inflated resume and bag the offer without any verification. •A candidate used his father’s experience to fetch him his dream job, since he and his dad had the same name with the only Jr. and Sr ahead. •Few candidates’ claim that they were a champion in a particular sport but in reality served as a cheerleader. •Some candidates include their experience in different companies, but might have only served one or two days in those companies. •After serving for 25 years and earning two executive positions, investigations have proved his certificated to be forged. 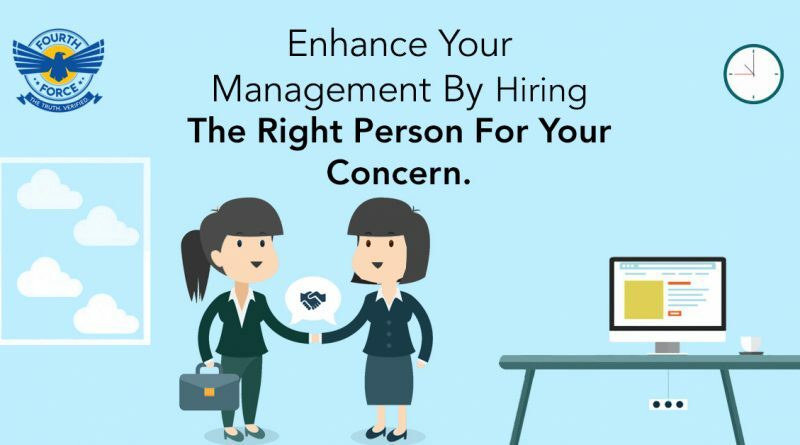 Whether you are a private or public limited firm/ organization or a parent searching a partner for your son/ daughter or a landowner renting out space to a tenant, verifying the employment credentials of the specified person will ease your worries and secure yourselves from future hiccups. Fourth Force is a private Background Company that is running Background Screening checks in 29 states all over the nation. Some of the services operated by them are Cab driver verification, Bank Security, Insurance claim investigation, Vendors Background Verification, Antecedent Verification, Employee Background Verification and Criminal Background Check. Fourth Force furnishes details regarding his/her conduct in the previous organization, disciplinary actions and complete period of employment. Never overlook background checks to screen your precious assets- Employees.